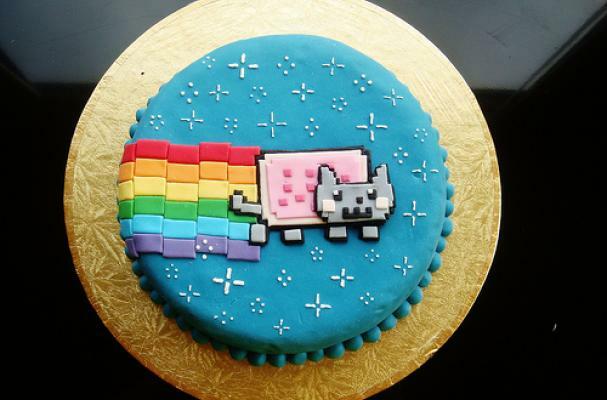 The Nyan cat cake by Lydia Bakes is a cyber sweet. For those of you who don't know, the Nyan cat is a viral video that repeats the word "nyan" over and over again for 3 minutes. The cake was decorated using various colors of fondant and patience. The original video is below for your enjoyment (or annoyance).